Katie Crutchfield’s third LP as Waxahatchee, Ivy Tripp, should be in the music library of every college student approaching graduation. She reaches some inconvenient truths about adult life on this record, which she translates into piercingly sincere words for the rest of us to understand. In the album’s press release, the 25-year-old indie singer-songwriter described Ivy Tripp as a term she made up to embody “directionlessness, specifically of the 20-something, 30-something, 40-something of today, lacking regard for the complaisant life path of our parents and grandparents,” which, as an English major, strikes a familiar chord. And it shouldn’t just apply to English majors, but for anyone approaching the ambiguously intimidating “real world.” A confident acceptance of herself in a paternalistic world of expectations seems to be the secret that Crutchfield has found as her solo musical act matures and evolves. Crutchfield has described Ivy Tripp as a gas compared to her previous “solid” record, Cerulean Salt — likely due to its directness and confidence. This kind of speculative lyricism shows what Crutchfield is coming to terms with in Ivy Tripp — quashing the anxiety of future uncertainty and learning to embrace it. 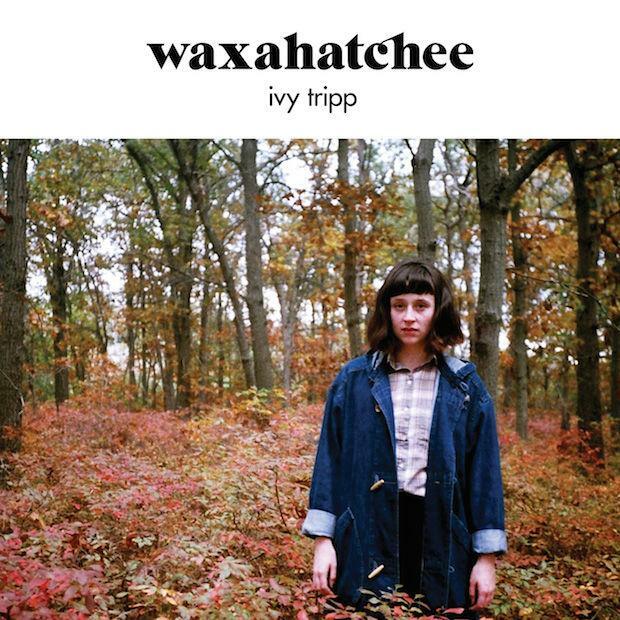 Waxahatchee recorded Ivy Tripp in Crutchfield’s home on Long Island, but despite the domestic setting, it sounds more confident and full-bodied than her previous records. She also recorded her first two albums in informal atmospheres, which included her parent’s isolated Alabama cabin and friends’ houses. Nonetheless, Crutchfield’s words and voice remain more compelling than the enhanced sonic components on Ivy Tripp. Sometimes monotonous, other times passionate and punchy, Crutchfield’s fluctuations give her voice a punk-rock sense of liberated carelessness, even when hushed, that works as her most important instrument. Her sister, Allison Crutchfield, is in a full-blown punk band, Swearin’, which has helped record Waxahatchee songs in the past. Though the two artists’ sounds are decidedly different, the seething pointed words of both Katie Crutchfield and Swearin’ singer/guitarist Kyle Gilbride bear some resemblance. The album’s songs are cunningly didactic, not simply because of her “live and learn” mentality, but because Crutchfield is unafraid to show her vulnerability, which resonates with the gaseous metaphor that she used to define the record’s title. The song enters nostalgia with its sweetly melodic chorus of “the summer of love is a photo of us,” but Crutchfield is not caught up on the memories or missed opportunities. Instead, Ivy Tripp is a triumphant collection of songs about acknowledging expectations as a way to move into autonomous self-discovery.